Preparing for cataract surgery - William Goldstein, M.D. Improvement in technology has led to a nearly 100 percent success rate for cataract surgery in the United States. Now people can expect 20/20 vision restoration after cataract surgery Detroit if they opt for multifocal intraocular lenses as these can sometimes give freedom from eyeglasses. Since cataract removal is a very delicate operation you will have to consider several instructions from your eye doctor and also undertake tests to determine the right kind of lens to be used for your after the surgery. Weeks before the surgery a few tests will be conducted to determine the exact size and shape of your cornea. 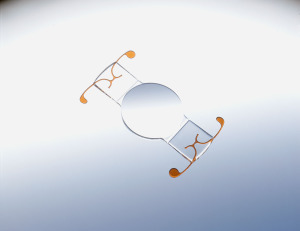 This will help the surgeon choose the right kind of intraocular lens that can be set up once the cataract is removed. If you are working then make arrangements for someone to take care of your responsibilities during your absence during and after surgery. This is usually only a day or two including the day of surgery. You also have to make arrangements for someone to drive you back home after the surgery because sedation is used during surgery. The day after the surgery you have to visit the eye surgeon again to monitor your recovery process and check for any distortions in vision. Ideally you can get someone to drive you for the eye doctor’s appointment too until you are considered fit to drive around. Most patients find that the vision is good enough within a couple of days to perform almost all of their normal activities. Before surgery you will be advised to abstain from smoking and alcohol for maybe a couple of days to help in quick recovery. Sometimes doctors also advice patients to eat last meal several hours before surgery to avoid vomiting that could result from nausea from anesthesia used before surgery. If you are under any kind of medication for blood pressure or diabetes then inform your doctor so they will advise you to either continue or discontinue them before surgery. It is advisable to avoid drinking or eating anything on the day of cataract surgery Detroit, though you can continue to take medication as prescribed by the doctor. Wear comfortable clothing and do not use eye makeup or any other facial cosmetics. Try to arrive an hour prior to the operation to fill up any paperwork and read through all details before you sign them. Depending on the complication of your condition it can take between half to one hour to complete the surgery. Follow all instructions of your surgeon to have quick recovery and regain your vision.